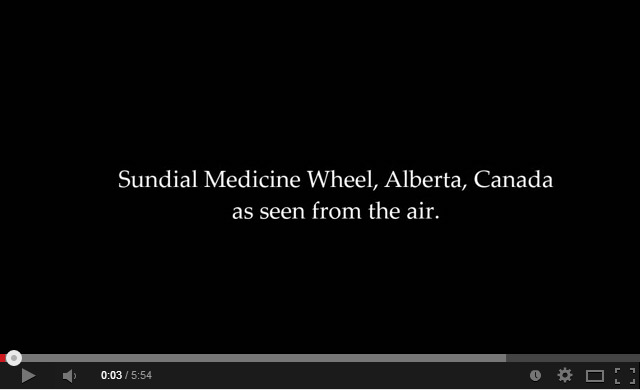 There are about 70 so called Medicine wheels in North America. The majority of those are found in Alberta, Canada. 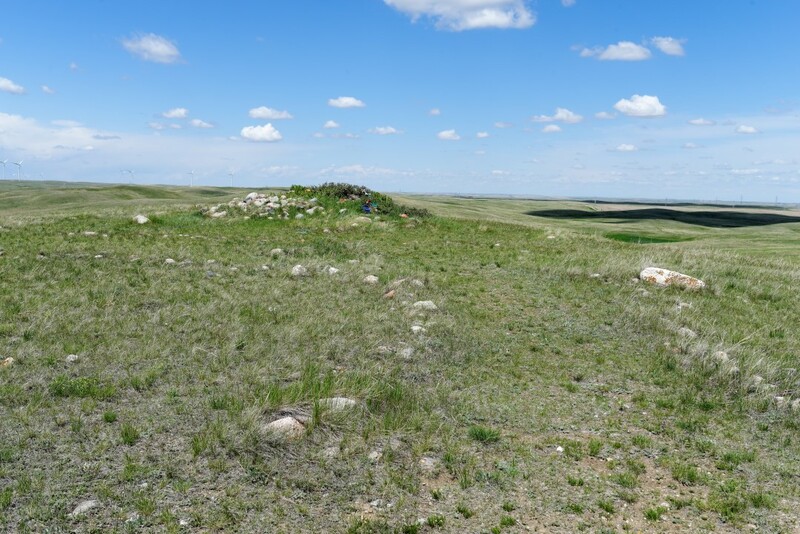 The biggest site is called the Majorville Medicine Wheel and has been thoroughly examined. 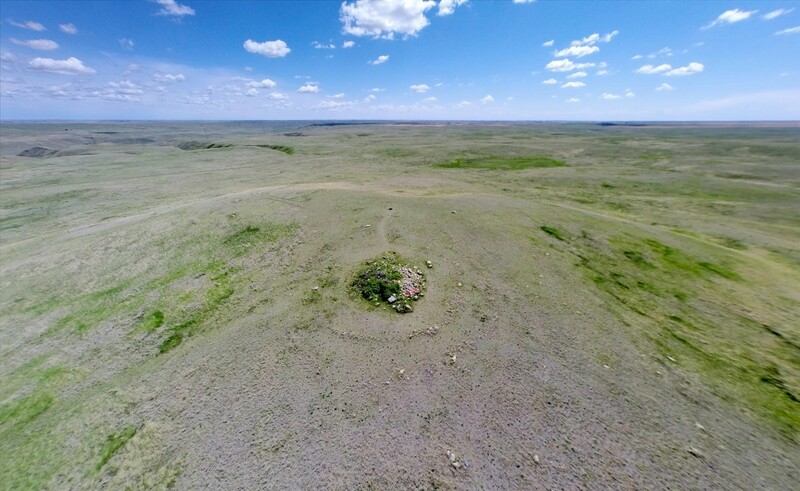 About 60km southwest of it is the lesser known "Sundial Medicine Wheel". 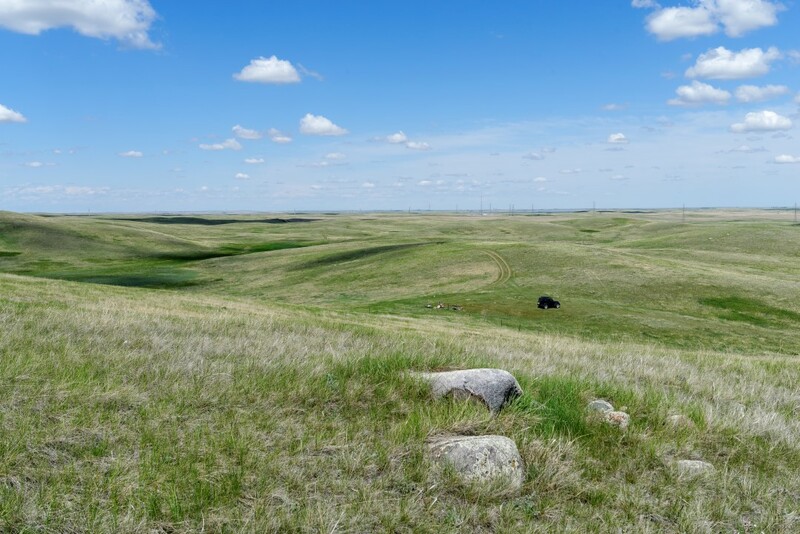 The site is beautyfully located on a hilltop that overlooks the surrounding countryside with rolling hills and the Canadian priaries with it's grasslands. 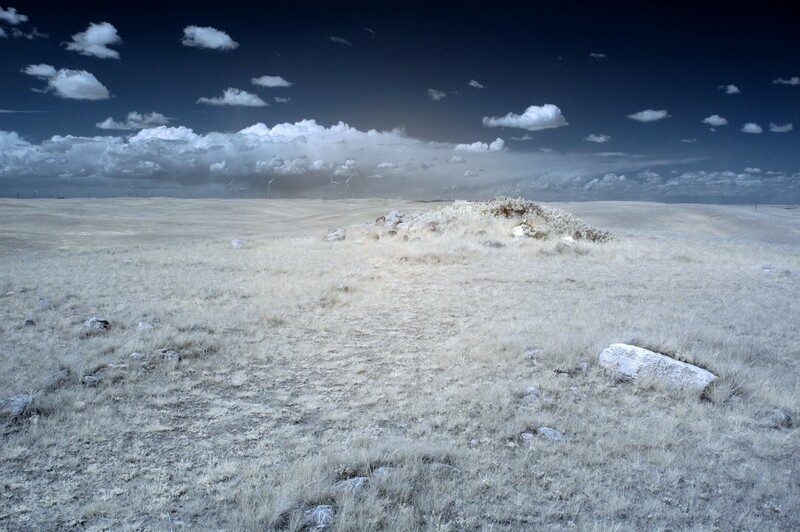 No scientific excavations have ever been undertaken at this site. 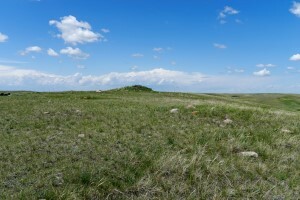 The site is located on a hill overlooking the rest of the countryside. 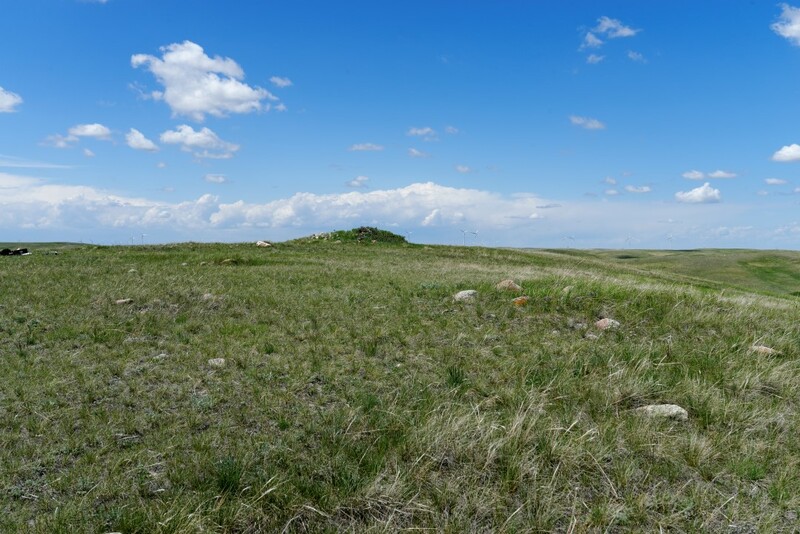 It is the only such site in North America that features a dual circular structure. 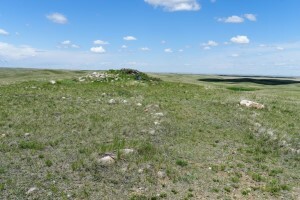 There is a central cairn of stones piled along with small pit to the south. 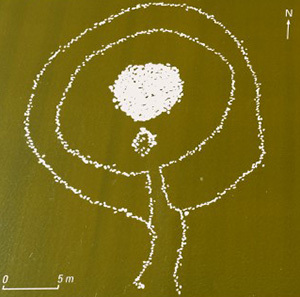 The two outer circles have an entrance or opening to the South. 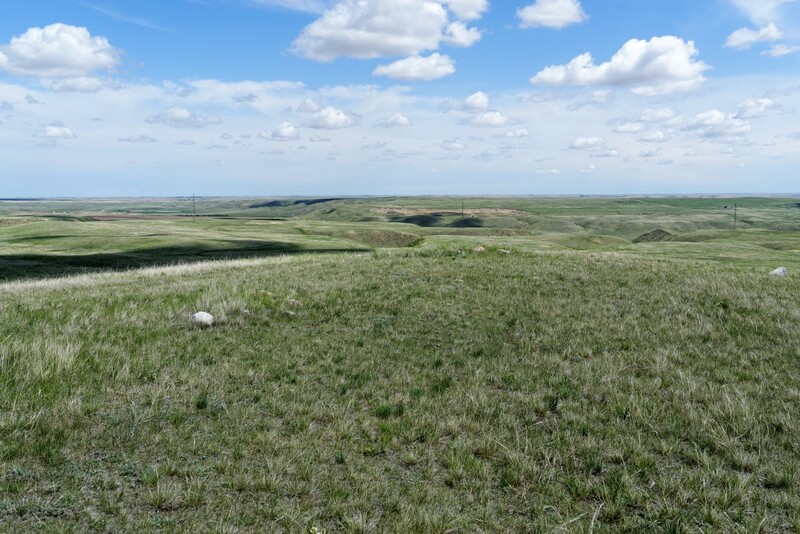 The site features excellent views across the area and like many other ancient sites in world is in a very calming and peaceful setting. 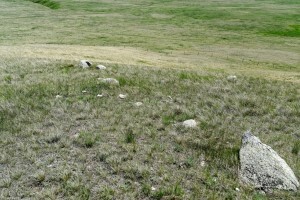 Single stones are scattered all over the area, I'm certain that over time the smaller stones have been moved from the circles to other areas. 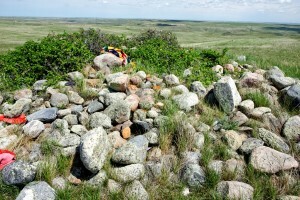 The central cairn sticks ou in the landscape and can be seen quite a ways. 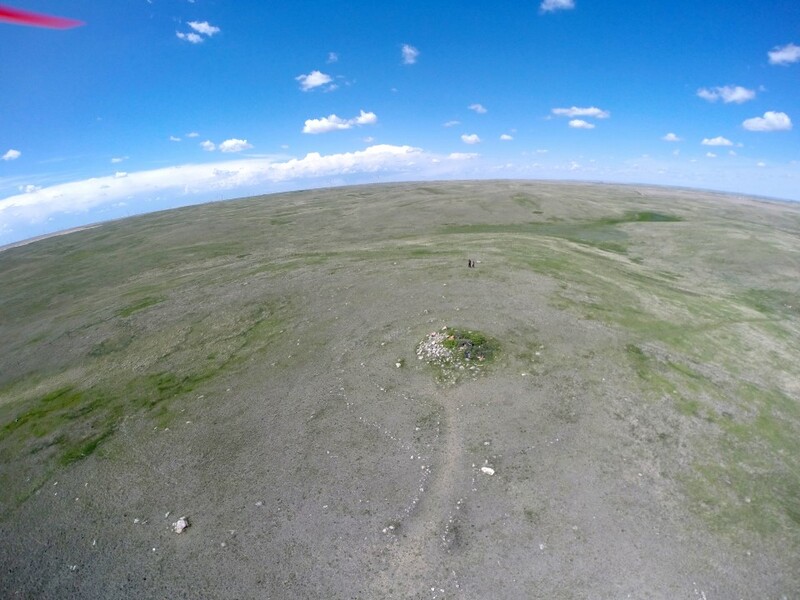 The next three images are aerial still shots taken during our visit in May 2014. 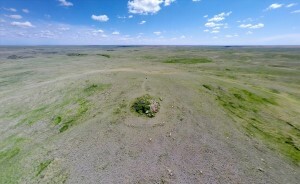 This shot is taken South towards North. 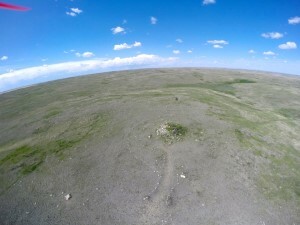 The image was taken with a 15mm wide angle fish eye lens, hence the curvature of the horizon. On the top left corner you can see the propeller of the aircraft. 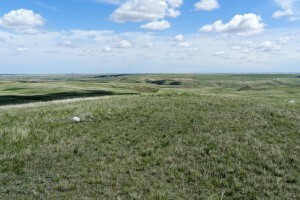 This image is taken from West facing East. The image is corrected for distortion. 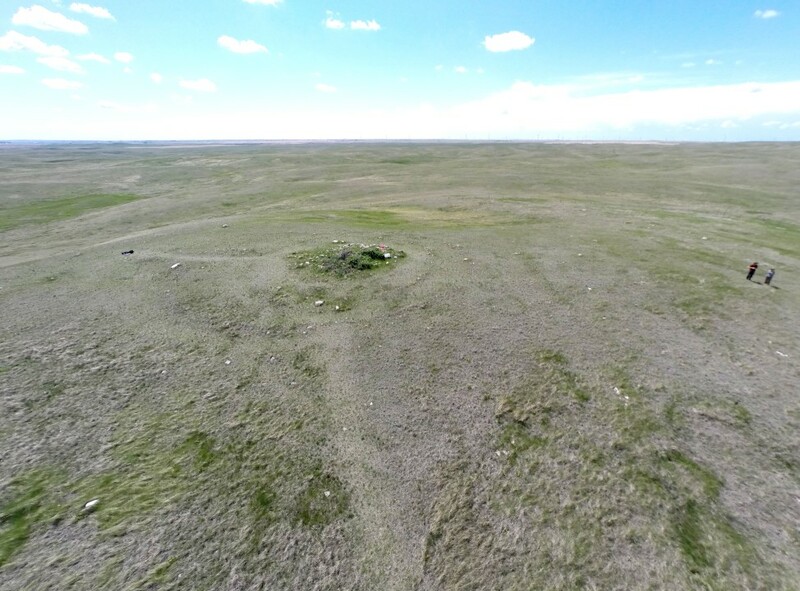 Especially in this image you can see lot's of round features all around the site that indicate that the site was once much larger then what we see today. I think that a proper archaeological excavation would yield many suprises. The site is still considered sacred among native Canadians. What looks like trash are in fact offerings left by visitors. 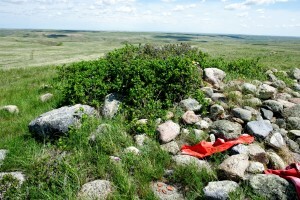 It's tradition to leave tobacco, pieces of cloth, food or other things of significance to the indivdual. 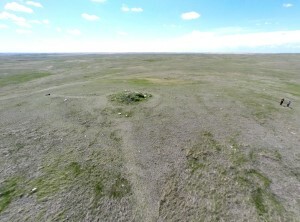 Here a closer aerial look onto the central cairn. 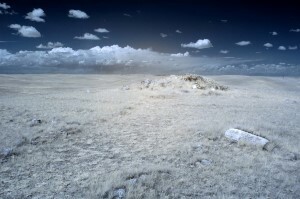 When photographed in the near infrared spectrum, the stone cairn reveals a very mysterious glow around it. 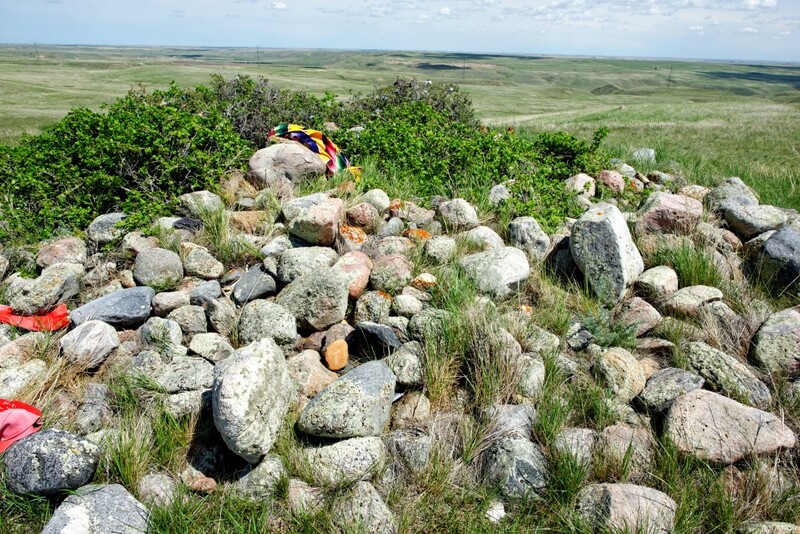 This image is color corrected to simulate blue skies, but you can see a lighter, yellowish glow around the cairn. 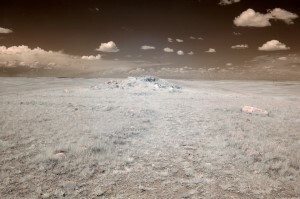 With this infrared shot as it comes straight out the camera one can see this 'glow' a bit better. This is very curious as I have not seen this glow before. While plants appear lighter in infrared images because they reflect more infrared light, I have not seen a glow surrounding it. This effect is invisble to the human eye or regular photos.